You know it’s book-in day when fast food restaurants are swarmed with recruits in green uniforms. But as someone who has lived in Pasir Ris for 19 years, I know they’re missing out on all the other cheap and good places they can hang out at before booking in for the week. 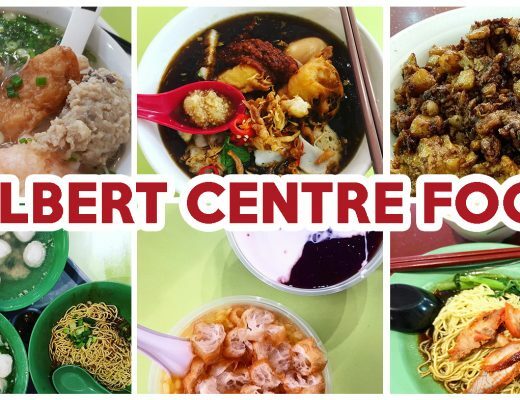 If you’re one of those recruits, or you know someone who is, share with them this list of air-conditioned places at Pasir Ris with cheap food! The fried chicken at Two Wings is the result of a 40-year-old secret recipe that has been passed down for generations. Their chicken wings are available in three different flavours: Salted Egg Yolk, Chilli Crab, and Heritage. 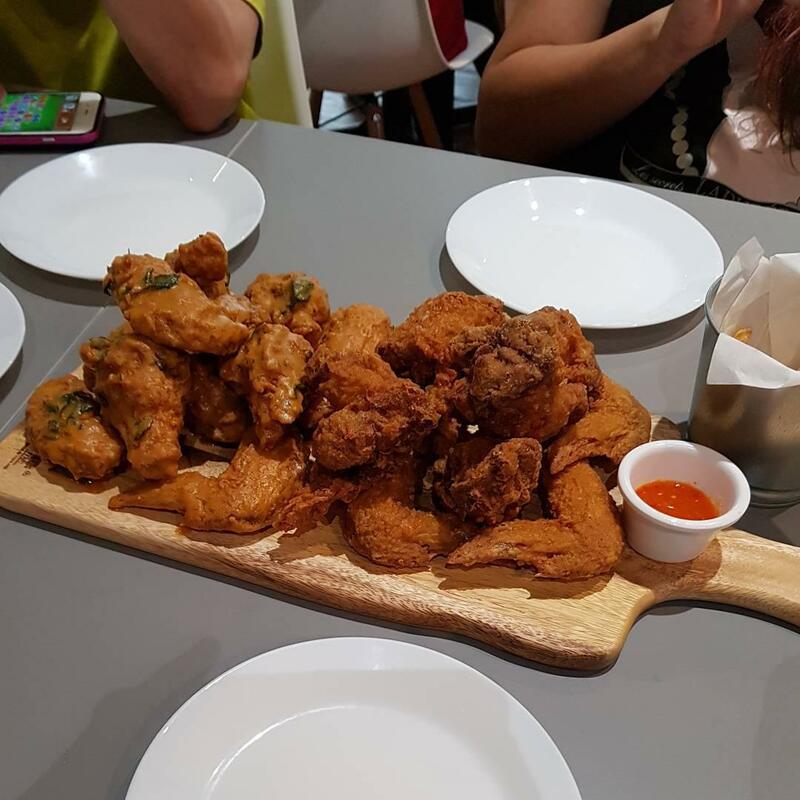 For a more filling meal, you can choose from set meals such as Chicken Wings and Drumlets ($8.90 for six pieces) or the slightly pricier Boneless Chicken ($12.90) that comes with a drink and a side. Whenever I think of Japanese ramen, I’ll usually think of the high price tags that come with it. However, Wakon Ramen sells ramen at reasonable prices. 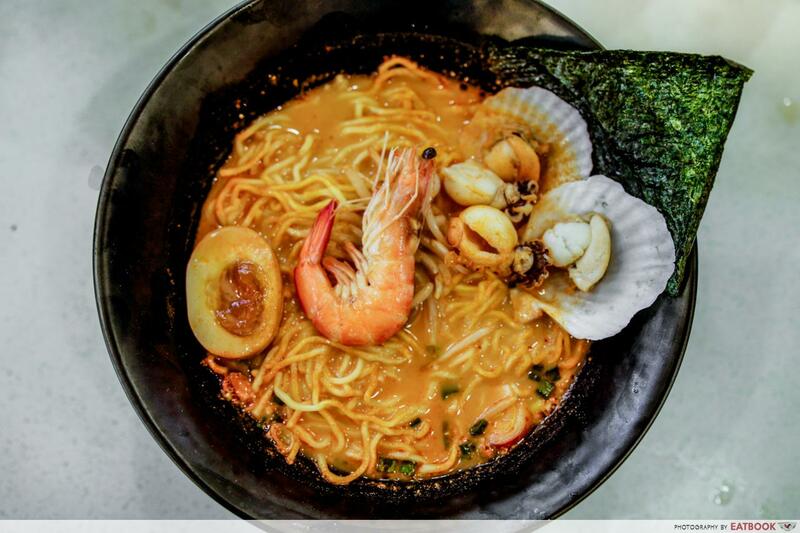 Tucked away in an air-conditioned kopitiam, you can enjoy their signature Volcano Seafood Ramen ($9.90) with your preferred level of spiciness. If you’re not a fan of spicy food, you can get their popular Hakata Ramen ($6.50) instead, which features tonkotsu broth, char siew slices and Japanese soft-boiled eggs. 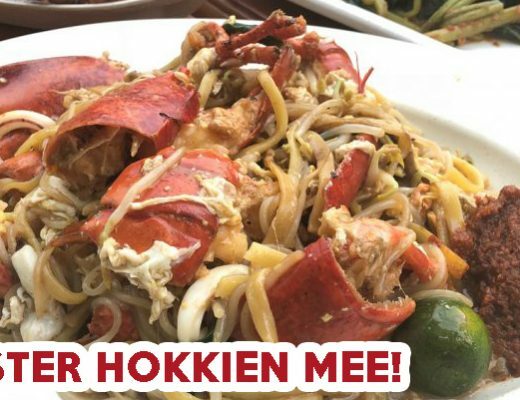 Started from a small outlet a few years ago, Yumen Hut has recently expanded by opening its second outlet in Pasir Ris. The food and place are simple, but good enough for a quick meal. Their Seafood Ban Mian ($5) has a delicious umami flavour and you can add in Crispy Fried Chicken ($3) to complete your meal. It is one of my favourite comfort food to have during cold and rainy days. At Ministry of Rojak, they have a huge selection of ingredients you can choose from for your rojak, such as flour fritters ($1), fishcake ($2), tofu ($2), boiled potatoes ($2) and cuttlefish ($3.50). 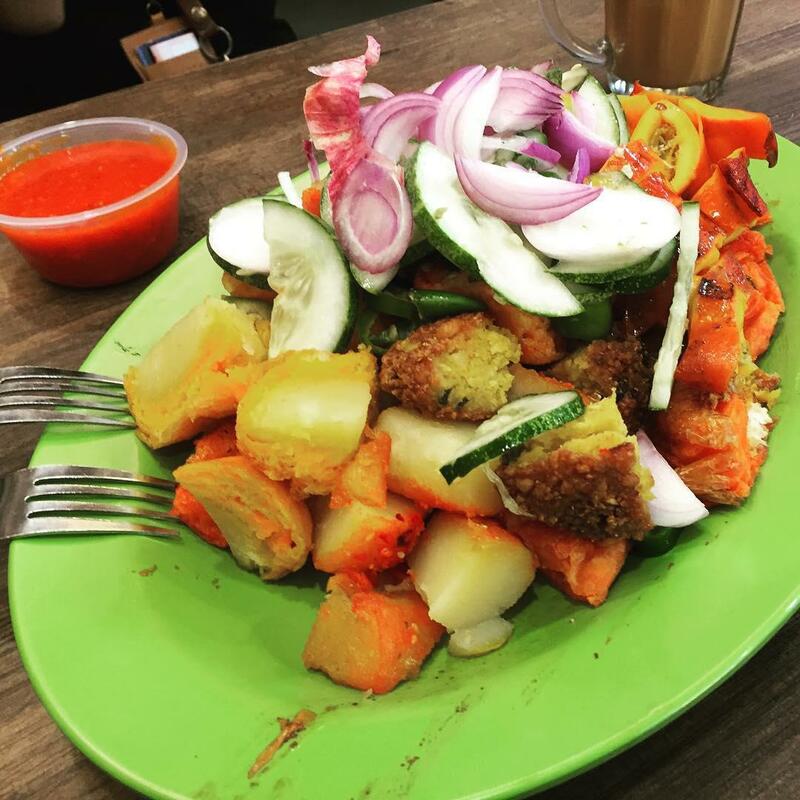 The rojak is then deep fried and served with a deep-red peanut gravy. If Indian rojak is not your thing, you can also get a plate of classic Mee Goreng ($7). Their place is really small so make sure you get a seat first before placing your order. Hungry Jack at Koufu Cookhouse is usually hidden from view because of large crowds queueing in front of the stall. 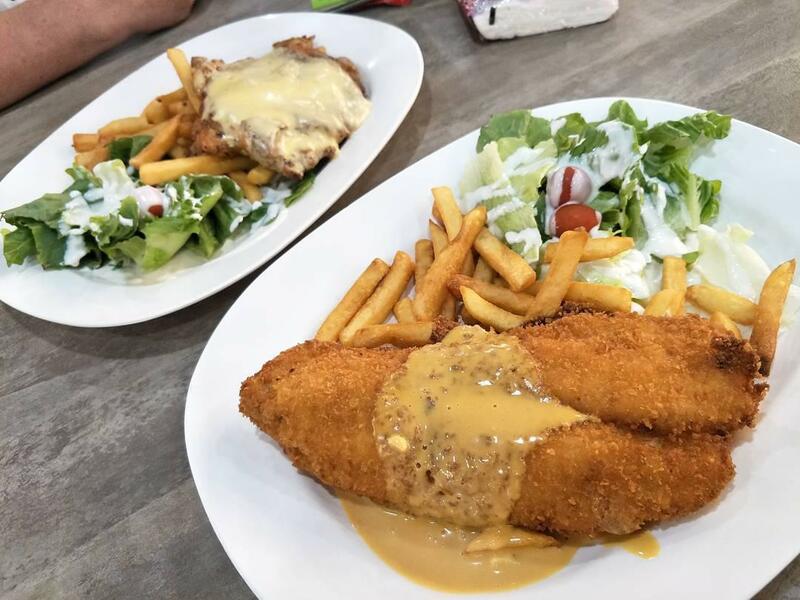 They sell affordable Western food with decent portions such as Salted Egg Yolk Fish and Chips ($7.50), Chicken Steak Carbonara ($7.60) and Seafood Marinara ($7.60). Don’t forget to chope your table first before queueing up! 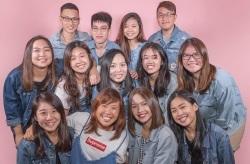 You’ve probably heard by now that Andes by Astons is the halal counterpart of Astons – a Western restaurant known for its value-for-money dishes. Their specialties include Chargrilled Chicken ($9.90), Fiery Chicken ($9.90), and Hickory BBQ Chicken ($9.90). 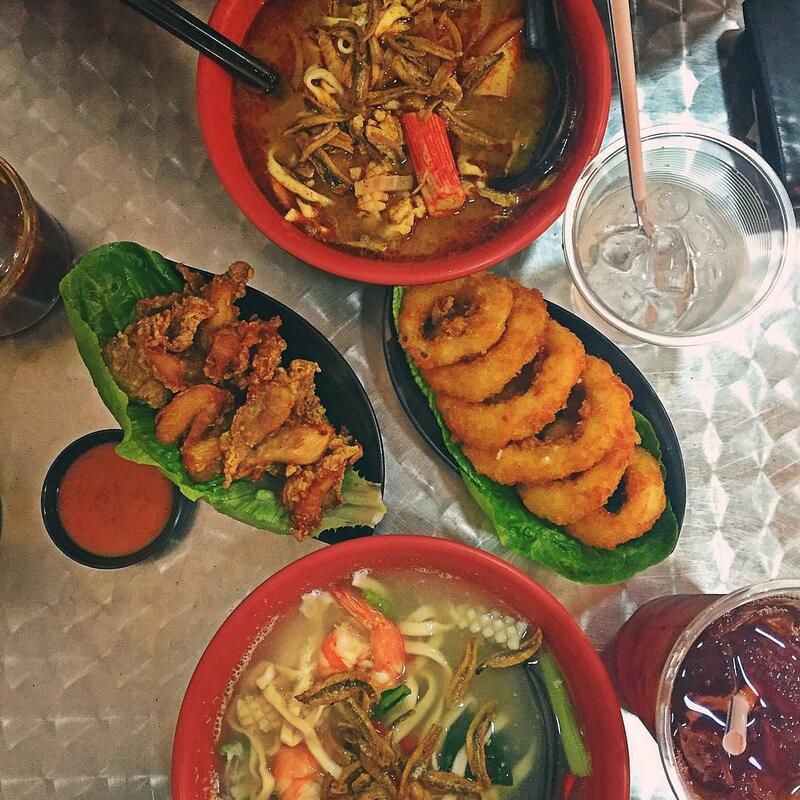 You can enjoy their generous portions with your friends and family without spending a bomb at Downtown East. 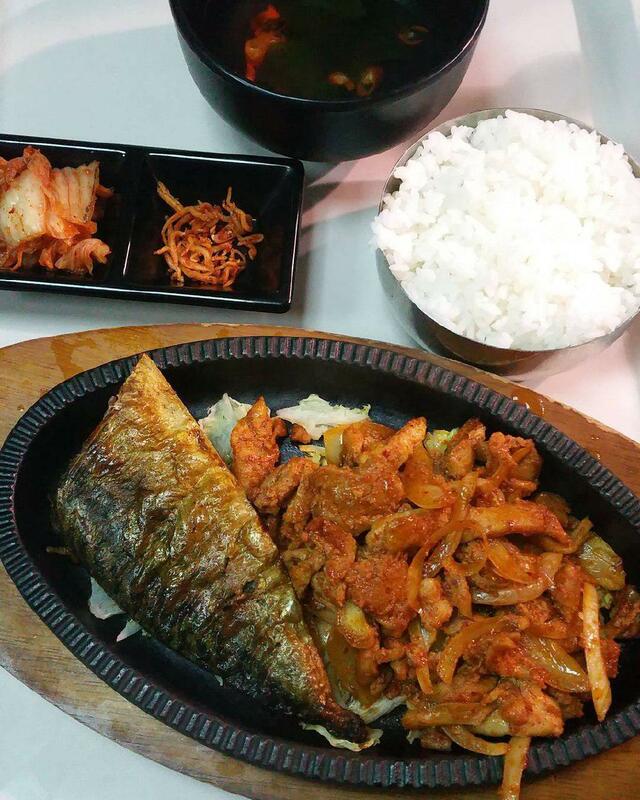 Korean Cuisine at NTUC Foodfare is one of the new food places in the newly refurbished E! Avenue. Saba Fish ($6) and BBQ Chicken ($6) are must-try items on the menu. If you want to try both, you can get their Saba Fish and Chicken ($6.50) instead. The best thing about their hot plates is that you get to see your food sizzling right in front of you! Living up to its name, the halal-certified The Tree Cafe literally has a tree decorated with filament bulbs in their cafe. Their menu consists of mainly classic Western dishes. You can choose from all-day breakfast items such as Eggs Benedict ($7.50) and Chic & Waffles ($7.50). If breakfast food is not for you, try their Smoked Duck Pasta ($6.50) instead. 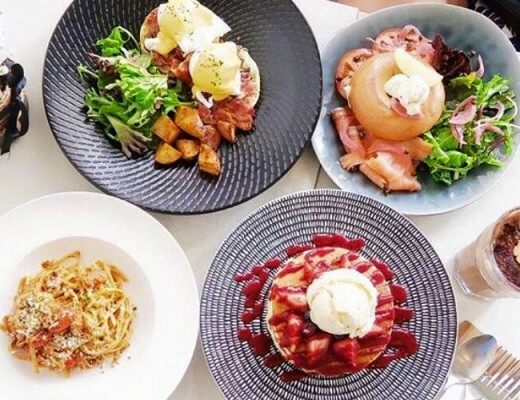 Check out more cafes that offer mains below $10++! The Tree Cafe is a halal-certified eatery. Saizeriya serves cheap Japanese-Italian fusion food. 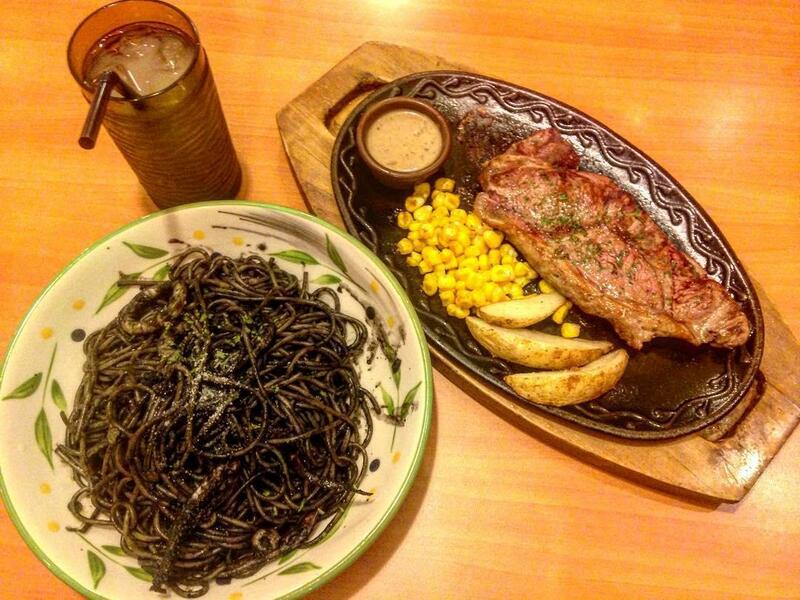 Go for their Squid Ink Pasta ($5.90) if you don’t mind the mess. Stack on your carb count with various types of pizza such as Salmon Delights ($7.90) or Quattro Formaggi ($7.90), which is a four cheese pizza. Remember to help yourself to the free flow of hot and cold drinks available! 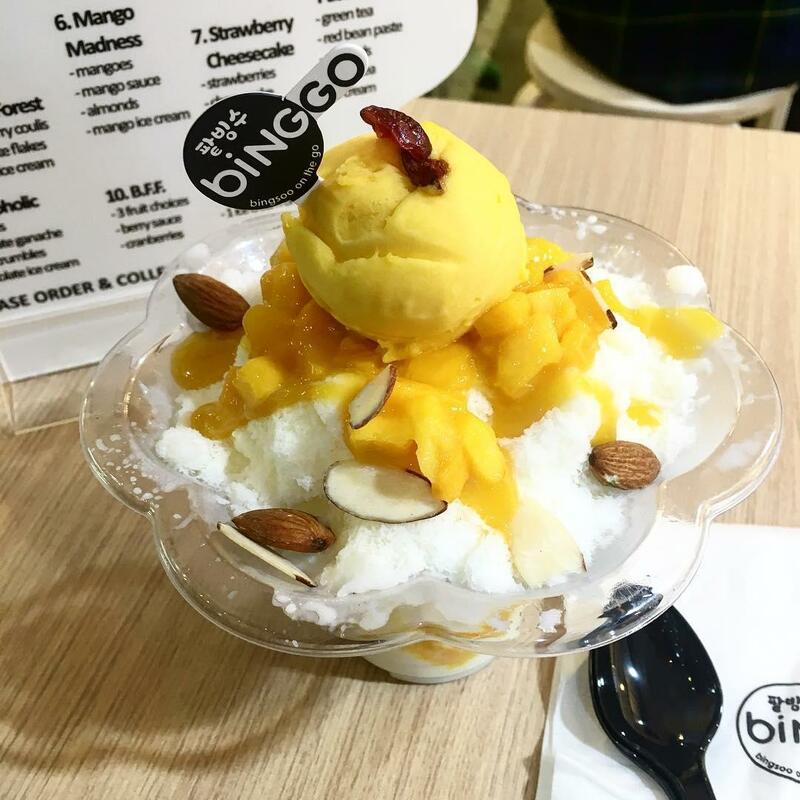 Cleanse your palate with an icy cold cup of bingsu from Binggo after your meal, because there is always room for dessert. Try their refreshing flavours such as Mango Madness ($6.90) or Black Sesame ($6.90). Their cups are comfortable to hold so you can even carry it and walk around the mall without fuss. Don’t limit your options to fast food! 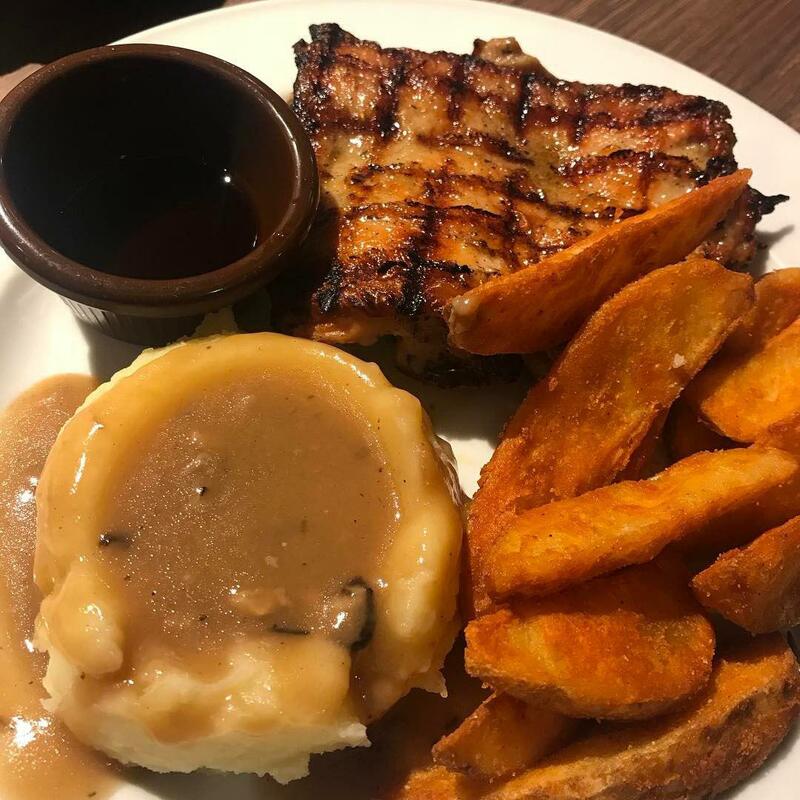 With this list, you won’t have to worry about what to eat at Pasir Ris before booking in or after checking out of Tekong. 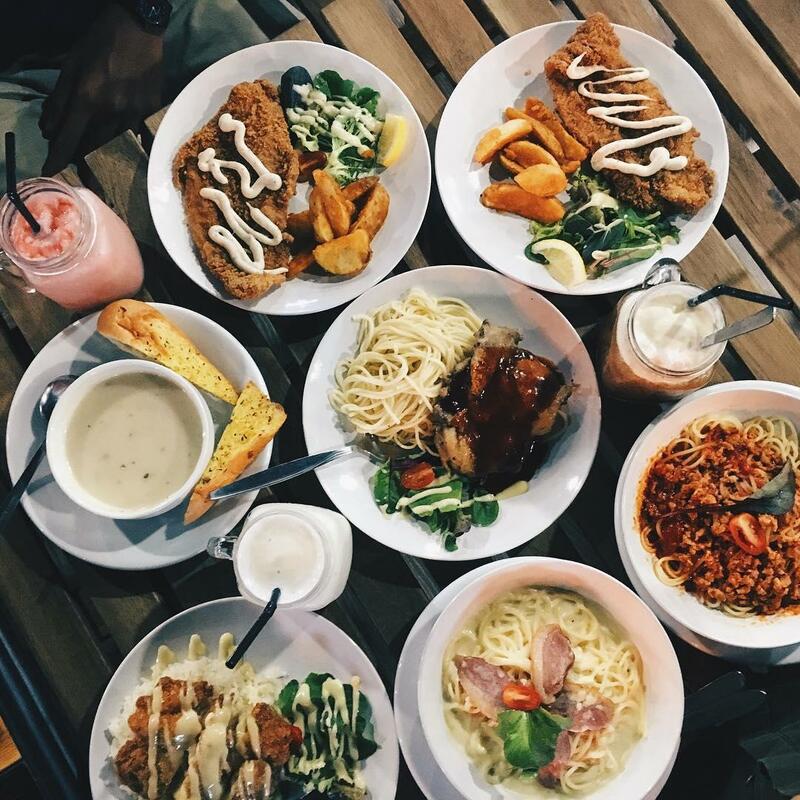 The next time your friends jio you to eat at fast food restaurants, recommend these places to them! If you like Korean army stew, check out Mukshidonna at E! Avenue as well. Featured image taken from Instagram user @akushai‘s post.